Logan turns 2 in less than a month, but we celebrated a little early this year. We live 5,000 km away from all of our family so family birthday parties don’t happen often. This past week we were fortunate to have my parents, sister and niece in town so we took advantage and threw Logan a pre-birthday party. He is still a little young to understand what a birthday is but he is old enough to understand cupcakes. 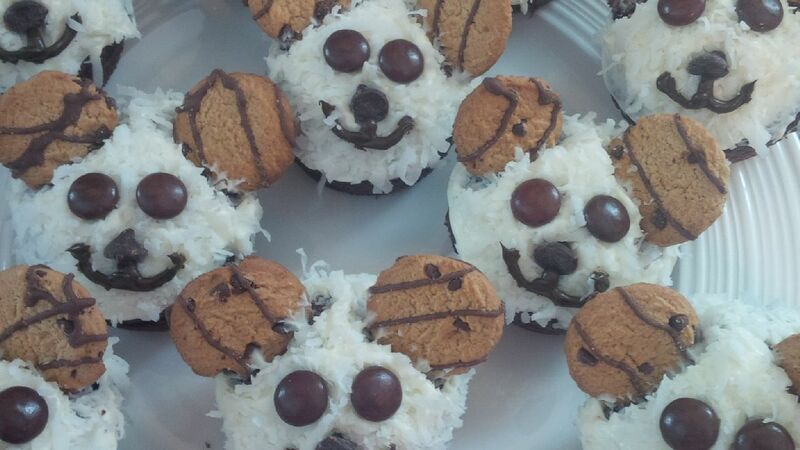 I made him some Bear cupcakes at least that is what they were supposed to be. Here are some of the pictures of the birthday boy, and his party guests.